We want members to get the most out of their UCare membership. That's why we provide clear and simple explanations of the ways we help members access care and manage their health. Here is where you'll find answers to questions like: How do I get care after hours? What is UCare's process for making coverage decisions? Which doctors are available in UCare's network? UCare covers a range of health care services including medical care, services, supplies, and equipment. These covered services must be medically necessary and needed for the prevention, diagnosis, or treatment of a medical condition. They also must meet accepted standards of medical practice. Members receive the highest level of benefits and pay less out of pocket for covered services received from a UCare network provider. There are benefits that UCare doesn't covered, also called "exclusions." Members must pay for the costs of non-covered benefits unless a member appeals, and we decide to pay for or cover the benefit because of a specific medical situation. For more detailed information about covered and non-covered benefits, members should refer to their Evidence of Coverage or Member Contract. We make every effort to protect our member's personal and health information. There are times that we may share your information for business purposes and to allow you to participate in a health improvement program. UCare's Notice of Privacy Practice explains how UCare protects our members' personal health information, as required by state and federal laws. UCare has an extensive network of doctors and health care providers of all types, including mental health practitioners, specialists, clinics, hospitals, transportation providers, and durable medical equipment providers. The best way to get the most up-to-date information about a specific doctor or provider is to the Search Network tool. This tool also provides information about the doctor's medical school, residency, and board certification. Members can also call the customer service number on the back of their member ID card for additional information. When UCare Medicare members enroll in UCare, they usually choose a primary care clinic - or home clinic - in UCare's network for most of their care. Primary care doctors may be in general practice, family practice, internal medicine, women's health care, obstetrics/gynecology, or pediatrics. Within the members' primary care clinic, members may see any doctor. UCare Medicare members also may change their primary care clinic at any time, for any reason, by logging into the member portal or calling Customer Services. Members may refer to their Evidence of Coverage for more information about primary care doctors. We encourage members to visit their primary care doctor at least once a year for a preventive annual visit. Members can call their primary care clinic or go online to their clinic's website to schedule an appointment. UCare's Customer Services also can help members schedule appointments. If you're an Individual and Family plans member between 18 and 21 years old, you may be thinking about changing from a pediatric doctor to adult care. UCare can help you find doctors in your area, provide contact information and walk you through the process of transfering your medical records. Call the Customer Services number on the back of your memebr ID card. We are ready to help make at least one transistion into adulthood easier. A specialist is a doctor or surgeon who practices a specific area of medicine. For example, oncologists care for patients with cancer, and cardiologists care for patients with heart conditions. A member's primary care doctor can help find a specialist in UCare's network, but members do not need a referral to see a specialist in UCare's network. Members generally have the best coverage (or pay the least amount) when they receive covered services from a specialist in UCare's network. UCare Medicare members can use the Point-of-Service (POS) benefit (within the United States) to pay the out-of-network cost sharing. Members should refer to their Evidence of Coverage for more information about coverage. Our website's Seach Network tool assists members with finding behavioral health doctors and hospitals. UCare's Customer Services are also available to help members with their search. To schedule an appointment, members can call a specialist's or hospital's facility, or go online to the specialist's or hospital's website. UCare's Customer Services also can help members schedule appointments. If members need care after office hours or on the weekend, they can call their primary care clinic or the UCare 24/7 nurse line at the phone number on the back of their member ID card. Some primary care clinics have extended and weekend hours. A list of urgent care providers is included in members' plan provider directories and Search Network. Members should refer to their Evidence of Coverage for more information about urgent care coverage. When members have an emergency that could be life-threatening or result in hospitalization, they should seek immediate care. Members can get help as quickly as possible by calling 911 or going to the nearest emergency room or hospital. Members may also need to call for an ambulance, which is covered at no additional charge, even when a member is traveling in the United States. Although emergency medical services are covered throughout the United States, members should refer to their Evidence of Coverage for more information about these services. Emergency coverage outside of the United States varies by plan. Members who need care when traveling are advised to research the doctors, clinics, and hospitals in the area where they are traveling. Different coverage rules apply to out-of-network health care providers, depending on the members' health plan. Members should refer to their Evidence of Coverage for more information about out-of-network coverage. See the section above - "What to do in the case of a medical emergency" - for information about travel coverage in a medical emergency. Utilization management is what we call our coverage decision-making process. This process refers to how our medical directors review and evaluate the medical necessity, appropriateness, and efficiency of the use of health care services, procedures, and facilities. 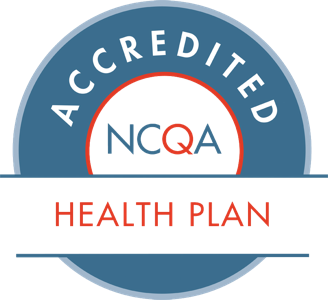 This health plan function supports our goal to provide the right care at the right time to our members. At UCare, utilization management decision making is based on appropriateness of care and service, and existence of coverage. We do not compensate practitioners or individuals for denials of service authorizations; do not offer incentives to encourage denials of service authorizations; and do not encourage decisions that limit use of services. UCare ensures independence and impartiality in making referral decisions that will not influence hiring, compensation, termination, or promotion. 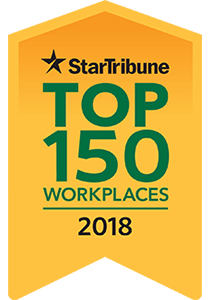 We offer members access to utilization review staff during business hours (612-676-6705 or 1-877-447-4384 toll free, Monday - Friday, 8 am to 5 pm) and a voice mail box to leave messages after hours (phone: 612-676-6705 or fax: 612-884-2499). Hearing impaired members can call our TTY text machine at 612-676-6810 or 1-800-688-2534 toll free. Collect calls are accepted. Language assistance is available from Customer Services. UCare provides extra support when needed by members with short-term or complex health needs, and social service needs. We call this support case management. Case management is a collaboration between the member and case manager to assess, plan, facilitate, evaluate, and advocate for options and services to meet a member’s comprehensive health needs. UCare provides complex case management services for members with multiple complex conditions. UCare’s goal is to help members improve their health and quality of life, and become more self-reliant in managing their health care. UCare’s complex case managers are nurses and help our members by coordinating their care and access to services. Members or their caregivers are encouraged to contact UCare to be screened for the complex case management program. They can complete a referral form or call the case management numbers below. If the member meets the program criteria, they are offered the option to enroll in our complex case management program. If the member does not meet the program criteria, they may be referred to one of UCare’s disease management programs. Some health care services are covered only if the member's doctor or other provider gets approval in advance from UCare. This is called prior authorization. Some examples that require prior authorization are inpatient rehabilitation services, spine surgery, bone growth stimulators, and spinal cord stimulators. Members should refer to their Evidence of Coverage for more information about services requiring prior authorization. UCare health plans each have a formulary or list of prescription drugs that we cover for that plan. Members can consult their formulary for a list of covered prescriptions. The formulary is developed by a team of health care providers to ensure the list represents the prescription therapies believed to be a necessary part of a quality treatment program. Formularies can change during the course of the year, so members should check online for the most current formulary. Generally, we cover drugs listed in the formulary as long as the drug is medically necessary, the prescription is filled at a UCare network pharmacy, and other plan rules are followed. We will also cover prescriptions for medical emergencies. Prior Authorizations: A member's doctor must get approval from UCare in advance for a prescription drug before the member fills the prescription. Quantity Limits: For certain drugs, we limit the amount of the drug UCare will cover. Step Therapy: In some cases, UCare requires the member to first try certain drugs to treat their medical condition before UCare will cover another drug for that condition. Members can request an exception to the formulary following the process outlined in their plan's formulary. When new technologies enter the marketplace (devices, procedures, and medications), UCare's medical leaders carefully evaluate them for effectiveness. They use information gathered from many sources and standard-setting organizations in our evaluation. UCare's clinical and quality committees and medical directors carefully research and review new technologies before determining their medical necessity and/or appropriateness. UCare uses information gathered from many sources in our evaluation efforts, including the Winifred S. Hayes, Inc. Technology Assessment Reports, published peer-reviewed medical literature, consensus statements or guidelines from national medical associations and physician specialty societies, the U.S. Food and Drug Administration (FDA), other regulatory bodies, and internal and external expert consultative sources. Medical policies do not constitute coverage authorization, nor do they explain benefits. UCare encourages your doctors and health care team to talk openly with you. We do not restrict doctors from talking with you about care options, regardless of cost. To learn about our specific medical policies including initiating medical policy requests and the process to develop them, visit the UCare Medical Policy site. Note: the level of coverage may vary depending on regulations or the benefits outlined in members' Evidence of Coverage documents. When regulations and/or the Evidence of Coverage documents are not specific enough, you or your doctor can contact us to start the coverage determination process. When a state of disaster or emergency is declared in your geographic area, UCare generally allows you to receive care from out-of-network providers at in-network cost-sharing. If you cannot use a network pharmacy during a disaster, you may be able to fill your prescription drugs at an out-of-network pharmacy.